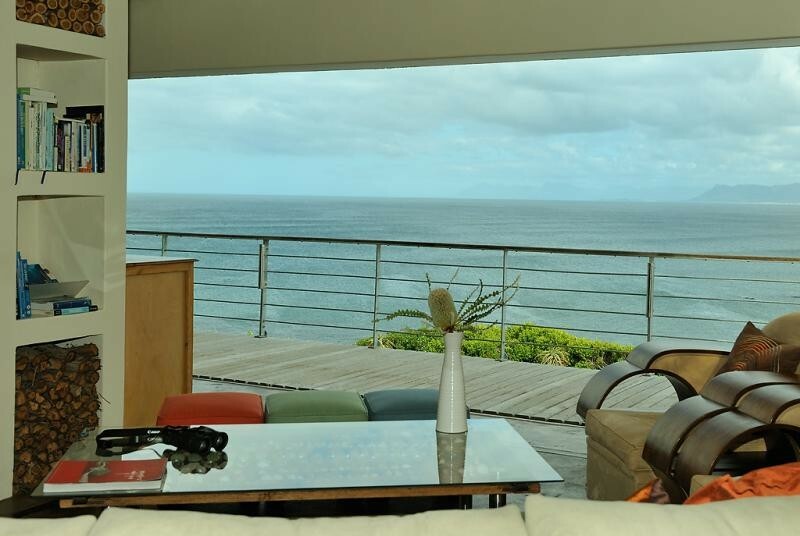 Whalesong Lodge, a small intimate guesthouse perched on top of the rugged De Kelders Cliffs overlooking the picturesque Walker Bay with the coastline stretching from the white sand dunes of "Die Plaat" past Hermanus all the way to Cape Point. 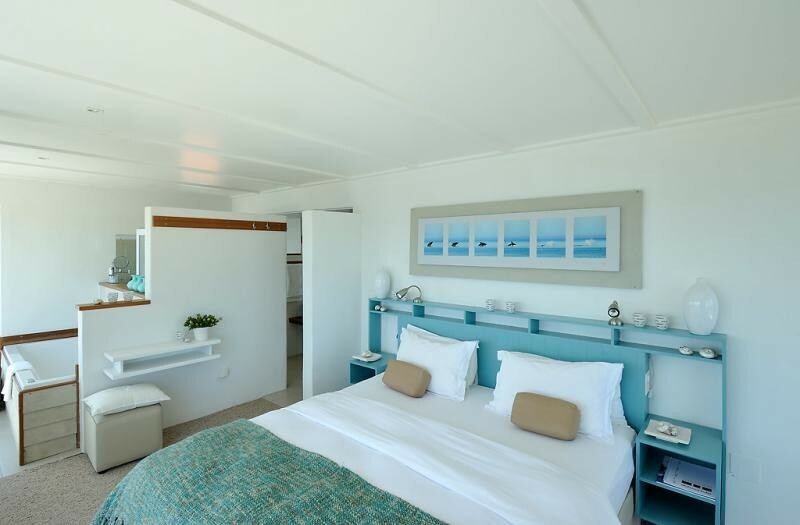 The 5 spacious open-plan Rooms are thoughtfully yet stylishly decorated each with sea view and a small private balcony to take in the fresh sea air. 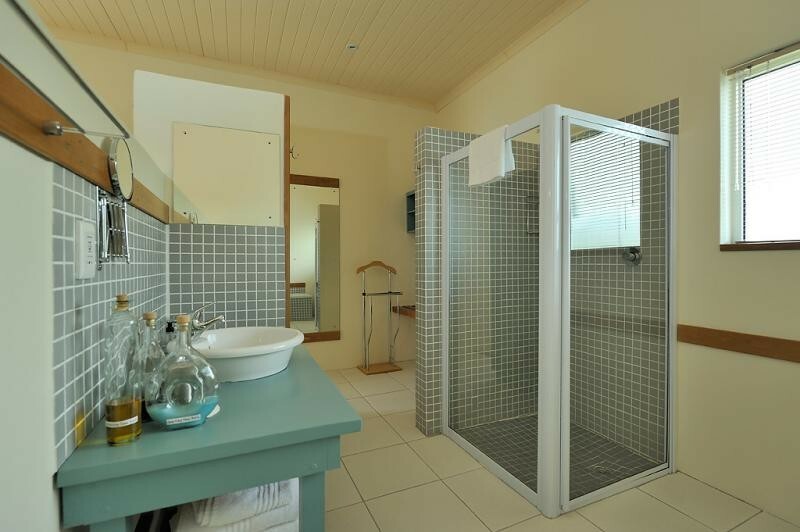 The en-suite bathrooms, with under floor heating, separate bath and shower are elegant but functional. 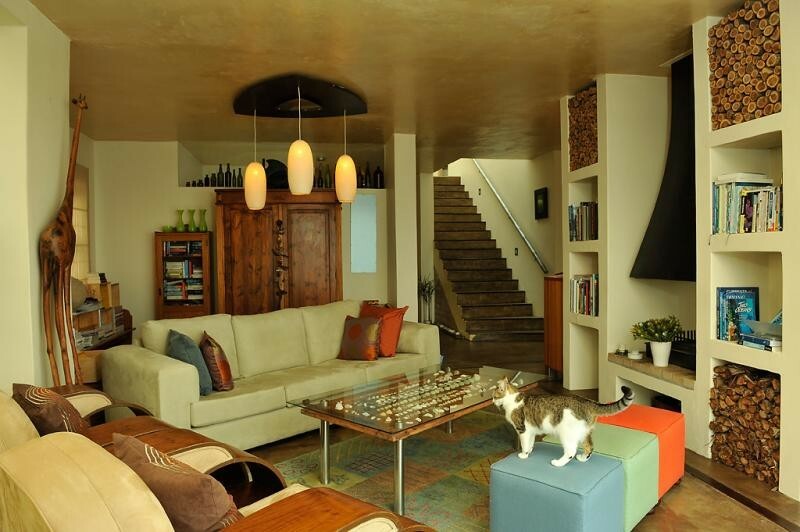 The large comfortable open plan lounge & dinning room lead out to a wooden deck. 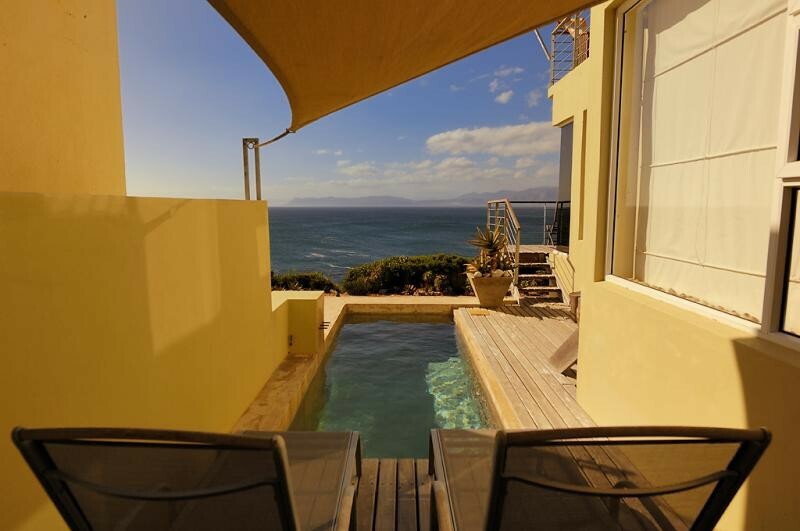 Ideal to watch the whales that play only meters from the shore. For the cooler months there is a cosy fireplace and a good selection of South African Red Wines. The wooden deck leads to a small pool but if one prefer to swim in the sea there are a number of small coves within easy walking distance. A short drive will take you to a number of sandy beaches. 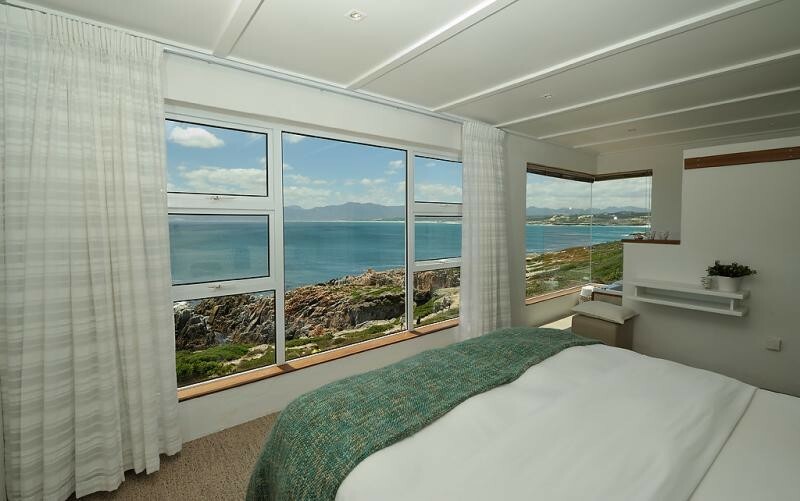 De Kelders is situated in the Overberg region on the Cape Southwest coast, only 2 hours from Cape Town past the quaint village of Stanford just before the fishing village of Gansbaai world renowned for its Great White Sharks. Why De Kelders? 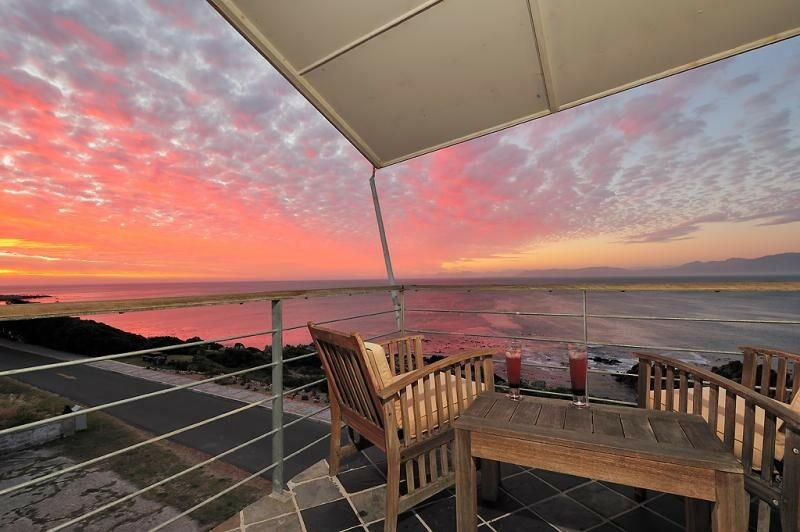 Is north facing and one of the few places on the Cape Southwest Coast where you are able to watching the sun set over the sea while enjoy sundowners. When you sit on the deck you are sheltered by the house from the prevailing summer off-shore wind. There are no street lights to pollute the night sky. 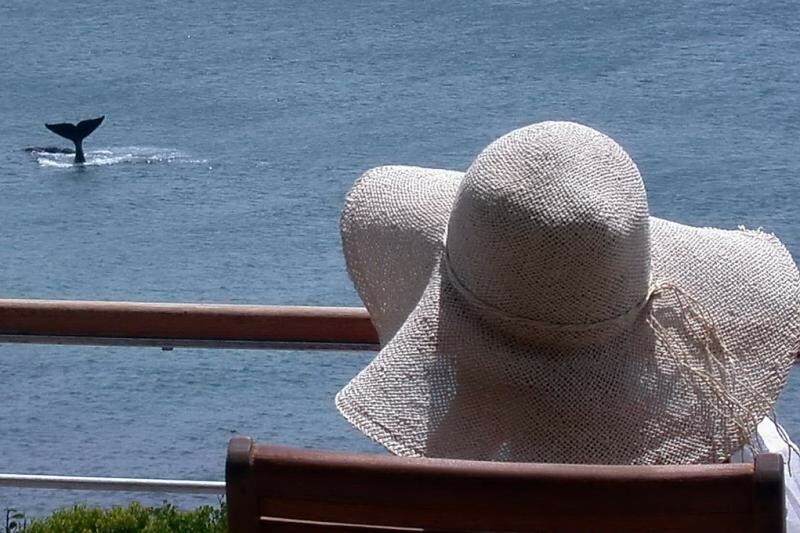 But the biggest reason there is no place in South Africa were you are able to watch the whales from the shore, as you do from the De Kelders cliffs and Whalesong Lodge is on those cliffs. 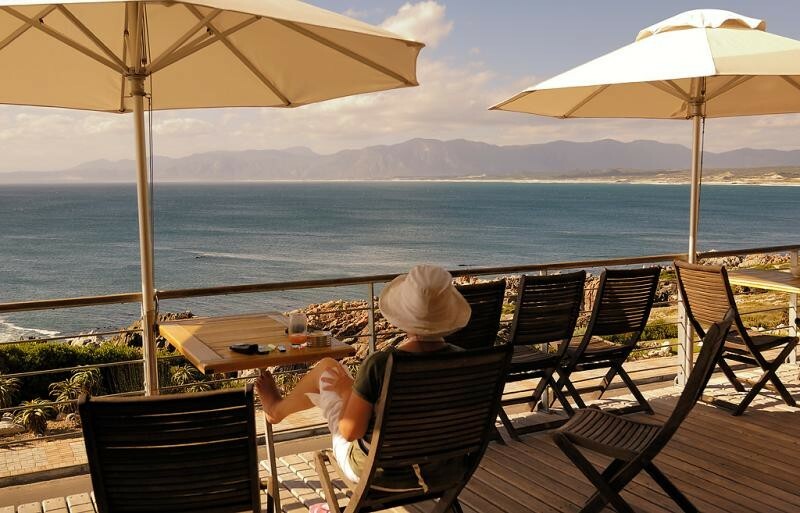 Breakfast & Dinner are lovingly prepared and served in an informal surrounding and with a stunning view over Walker bay. 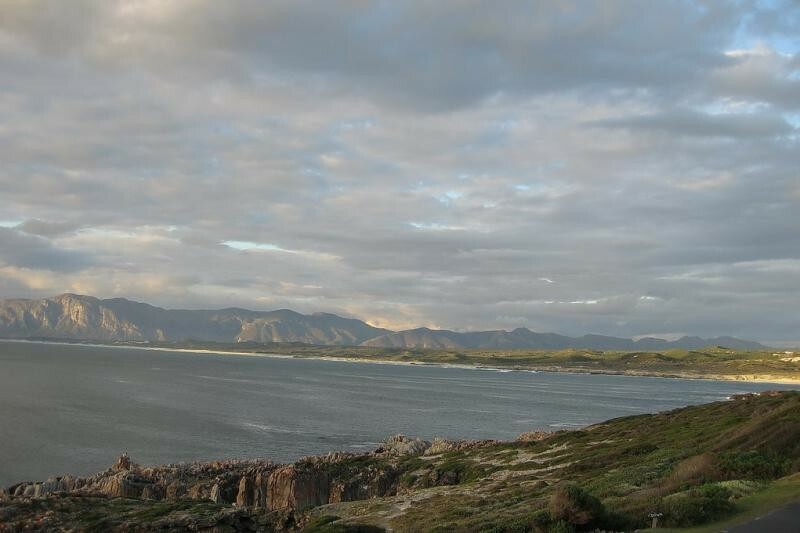 With Gansbaai's fishing harbour only minutes away there is an ample supply of fresh seafood. We previously owned a small hotel in the Cape Winelands so we have tasted and collected the best wines of the area to be savoured by our guests. 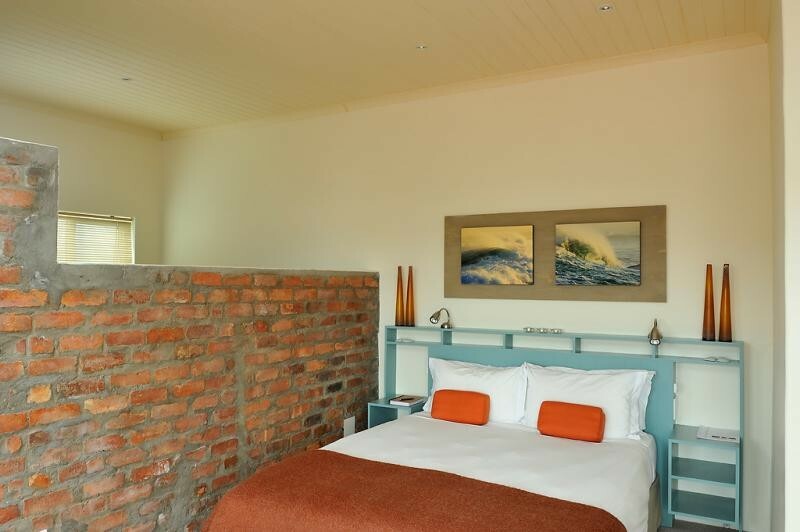 Whalesong lodge is an ideal base to spend a number of days to explore the area. 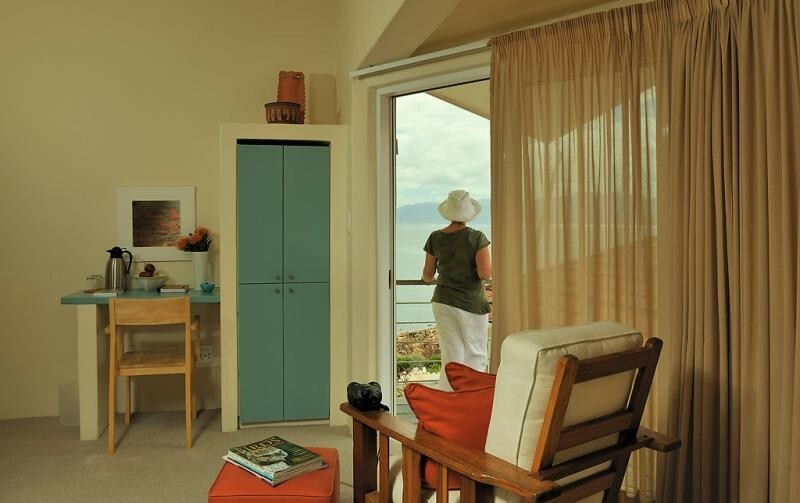 It's a paradise for whale watching, shark diving or just leisurely walks along the coast.